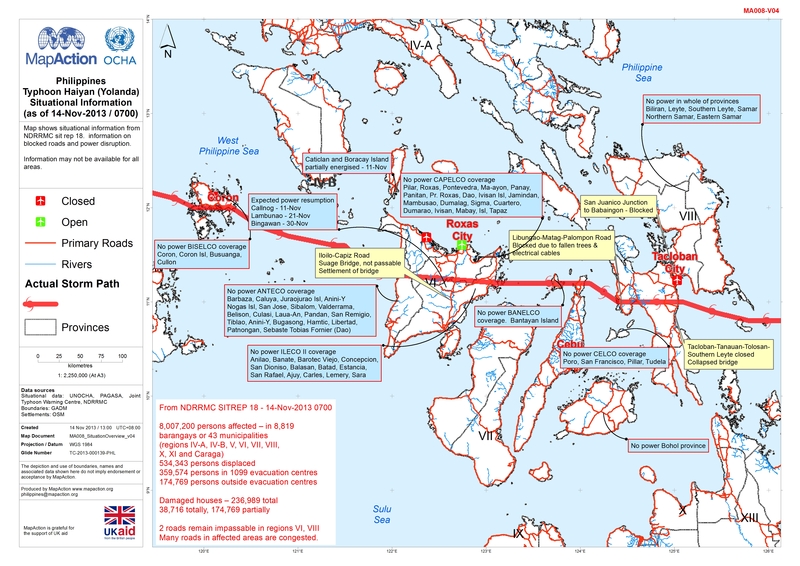 Map shows situational information from NDRRMC sit rep 18. information on blocked roads and power disruption.Information may not be available for all areas. 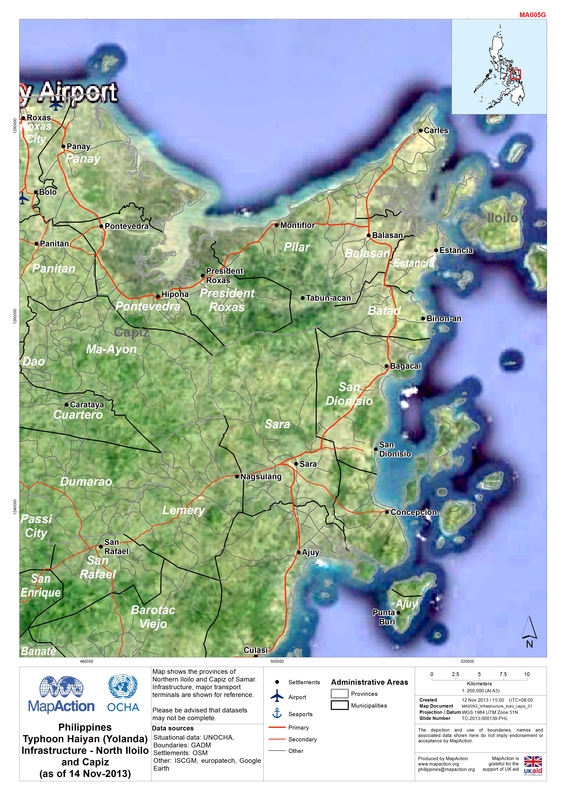 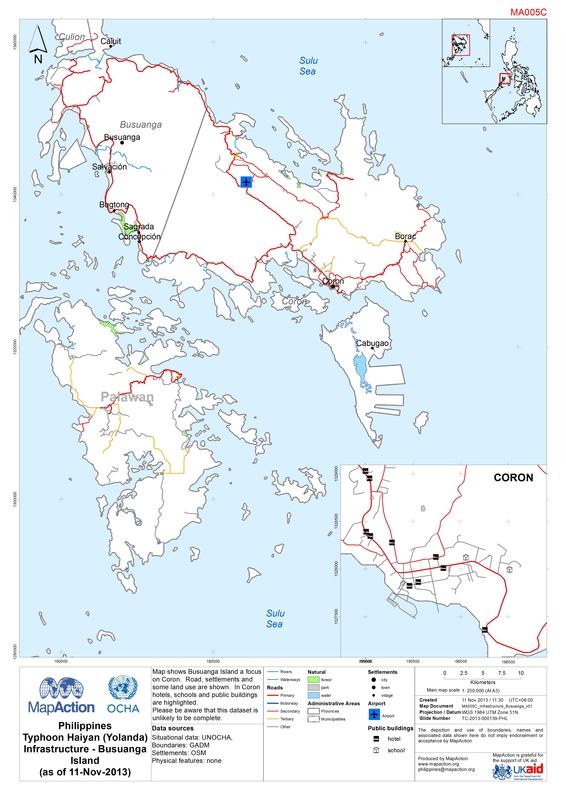 Map shows Roxas City and near area. 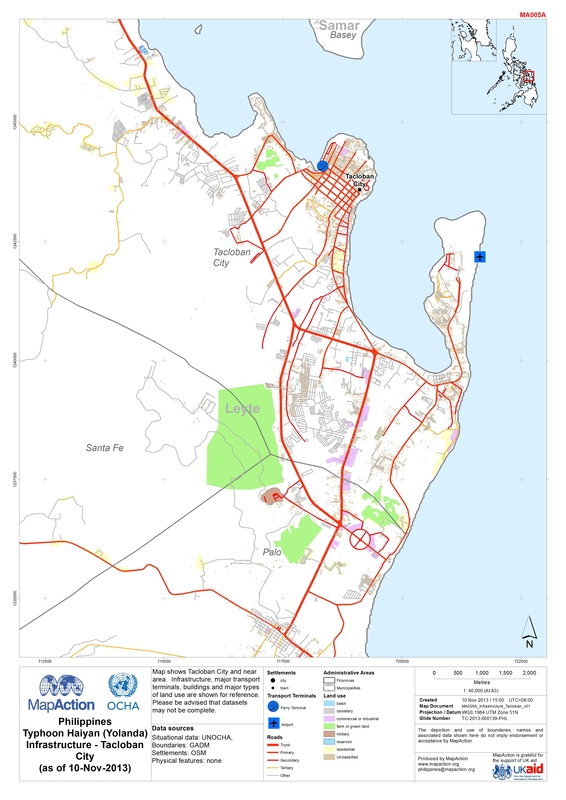 Roads are shown for reference, little other infrastructure data is available at this time.Please be advised that datasets may not be complete. 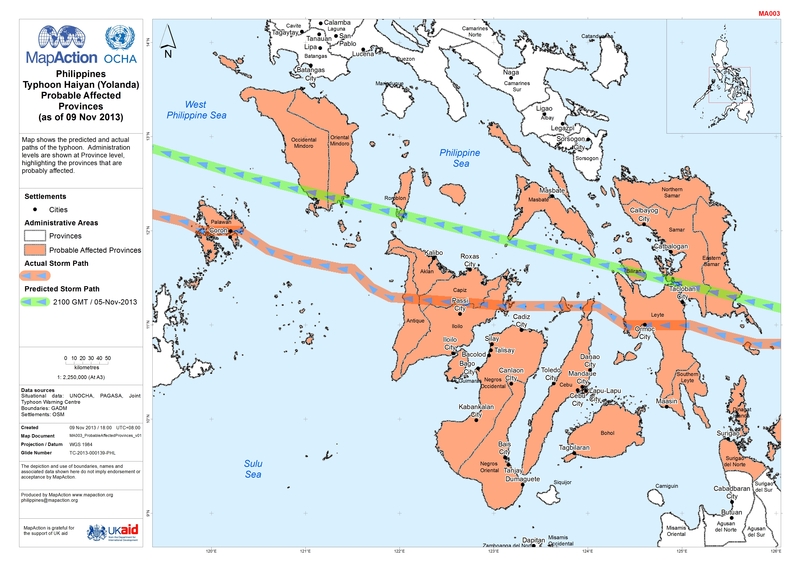 Map shows predicted storm surged as modelled from actual typhoon track (as of 12 November 2013). 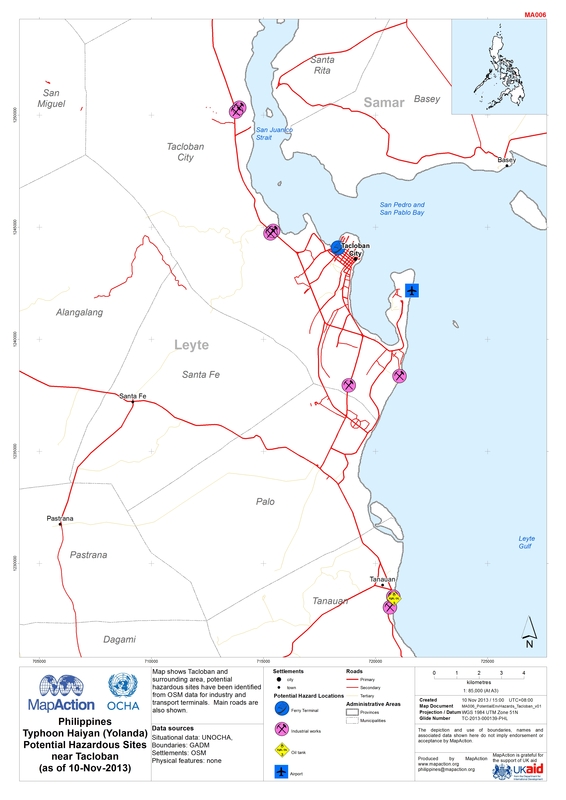 Map shows Tacloban and surrounding area, potential hazardous sites have been identified from OSM data for industry and transport terminals. 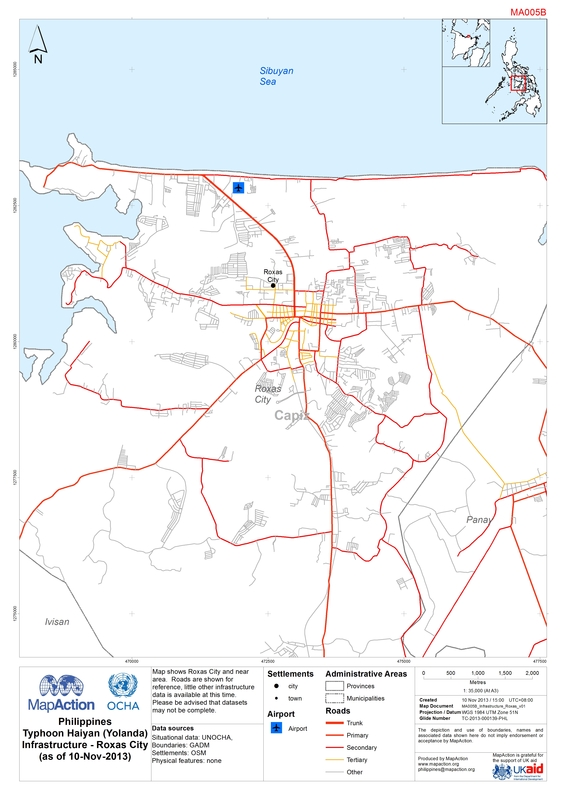 Main roads are also shown. 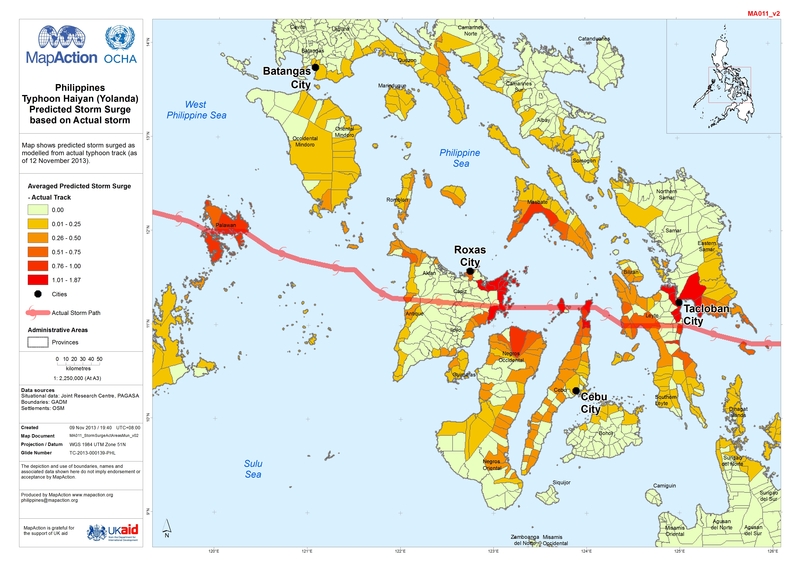 Map shows the predicted and actual paths of the typhoon. 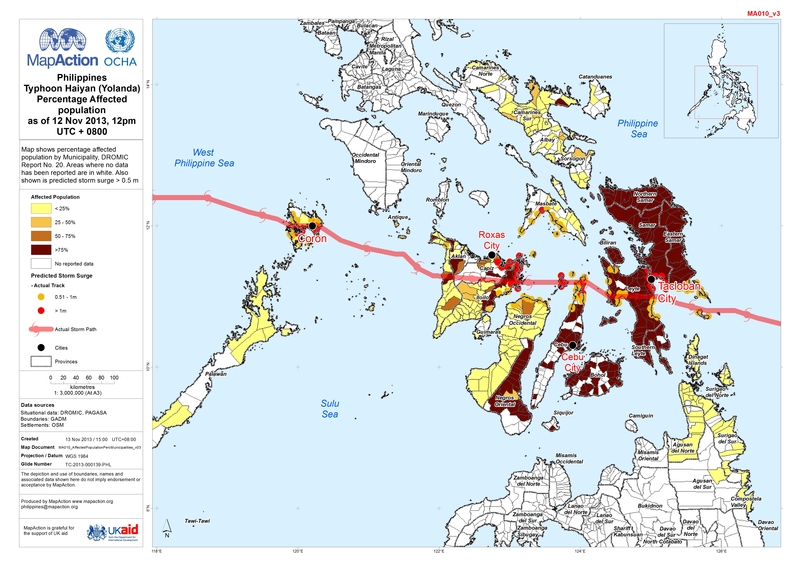 Administration levels are shown at Province level, highlighting the provinces that are probably affected. 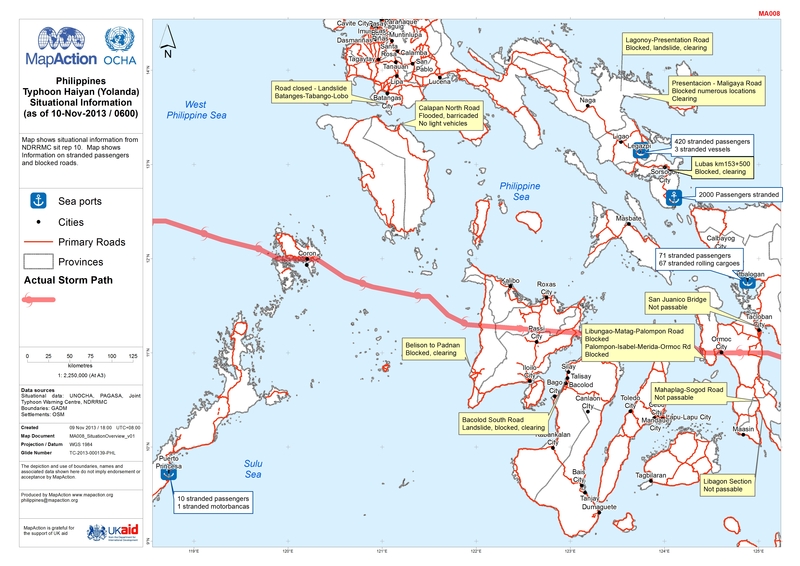 Map shows the predicted and actual paths of the typhoon. 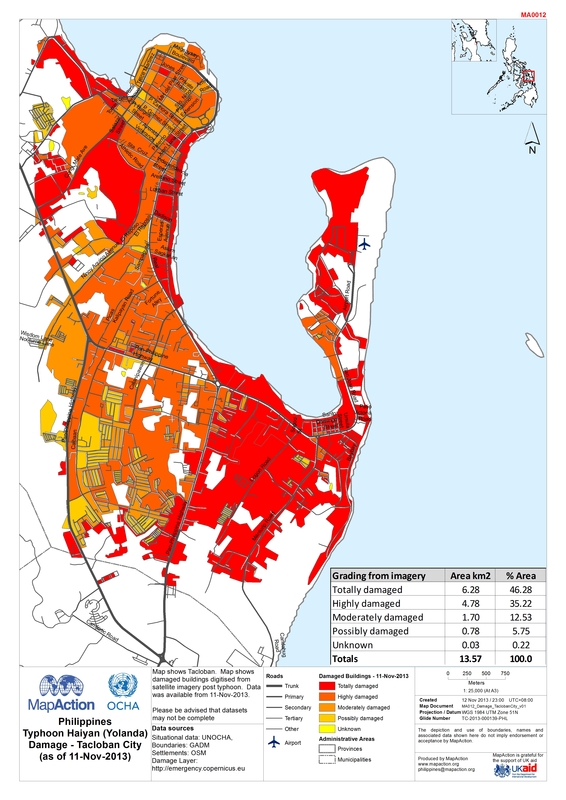 Population figures are shown only for the likely affected areas. 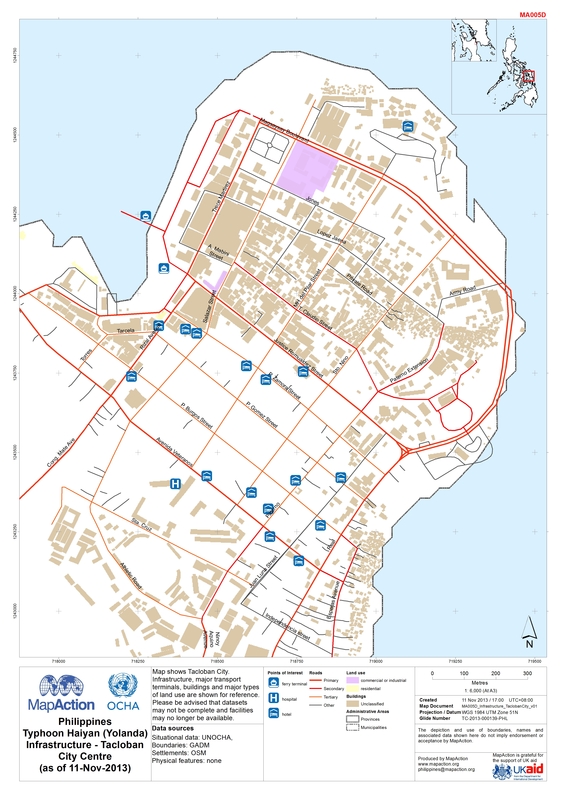 Population data is from 2010.